Description : Lee Kuan Yew: The Critical Years (1971�78) is a facsimile edition of Alex Josey�s second masterful account of Singapore�s formidable prime minister, first published in 1980 and simply titled Lee Kuan Yew Vol 2. In this volume, Josey tells the continuing story of Singapore�s remarkable development from the beginning of 1971 to the end of 1978. 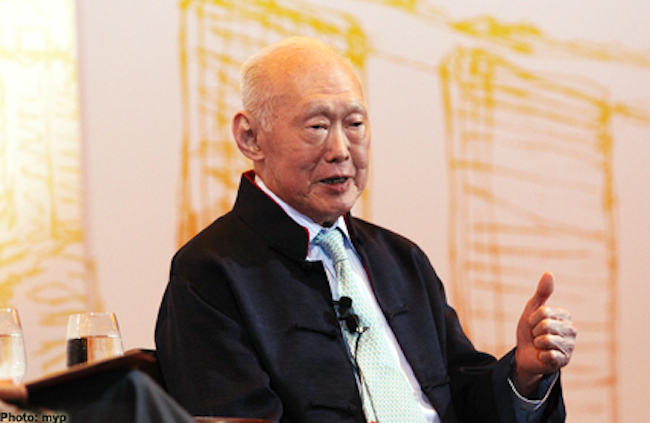 Read about Lee�s fears... A visionary statesman with a mind for business and a heart for his people, Lee Kuan Yew transformed Singapore from a Third World trading port into one of the globe�s wealthiest nations. During Lee Kuan Yew's term as prime minister from 1959 to 1990, his administration curbed unemployment, raised the standard of living and implemented a large-scale public housing programme. The country's economic infrastructure was developed, racial tension was eliminated and an independent national defence system was created. Lee Kuan Yew, From Third World to First: The Singapore Story: 1965-2000 In the country�s early years, two thirds of its population was living in inner city slums and squatter settlements with its pavements and streets strewn with litter, dirt and filled with the stench of rotting garbage.